Almost Heaven Saunas - Worth the Price? Almost Heaven Saunas have become quite popular over the last few years, and can be found at Costco, Amazon, Wayfair and other retailers. But how do they compare to the other brands? Are they high quality? Are they worth the price? Our team did an in-depth review of Almost Heaven to see what their saunas are all about, and if they are a good option for you. Almost Heaven is best known for their unique barrel saunas, which are the company's biggest sellers. As the name suggests, these are barrel-shaped units that are built for outdoor use. 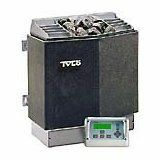 Because of their design, they are much more efficient, heating up quicker than traditional outdoor saunas. The Barrel Sauna is available in four different models: the Salem (6' x 4'), the Watoga (6' x 5'), the Pinnacle (6' x 6') and the largest model, the Princeton (6' x 8'). You can also choose from three different woods: Nordic Spruce, Rustic Western Red Cedar and Clear Western Red Cedar. There is also the up-level Canopy Barrel that fits 2-6 people and the top of the line Grandview Barrel Saunas which adds an additional 12" in diameter. The company also offers traditional outdoor units. The Saddle Mountain seats up to 6 people and is made of high-grade Spruce. The Allegheny features a wood stove, peaked roof and front porch. The higher end Appalachia is a full cabin with wood stove and front porch. Almost Heaven indoor saunas include the Hillsboro, Patterson, Worthington, Bridgeport, Preston, Grayson, Bluestone, Madison, Logan, Rondium, Claro and Rubic. You then have the radiant infrared sauna line, with hemlock wood and carbon fiber heating panels. There's a lot to like when it comes to Almost Heaven Saunas. For starters, they offer a lot of different options so there's something for everyone. Whether you are looking for an outdoor sauna, an indoor traditional or an infrared, they have something for you. More importantly though is the quality. 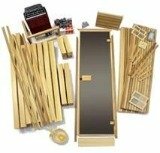 The company has been building saunas for over 40 years, and is one of very few manufacturers that actually makes the saunas in the United States. 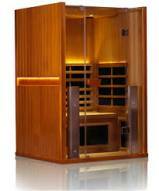 All of the saunas are made from the highest grades of softwood. All of the hardware, from the hinges to the bands, is made of stainless steel. All of the glass is tempered. We also like the fact that they use Harvia heaters in all of their saunas, and feature a Harvia line of products. This is one of the oldest and most well-respected manufacturers in Finland, and their heaters are as good as it gets. The fact that they are partnering with this company speaks volumes about their dedication to high quality. The company website has a lot of good information about the company and the products. They also offer a very helpful chat option, and they are happy to answer any questions you have about the different sauna options. We didn't come across too many negatives during our Almost Heaven Sauna reviews. They sell a lot of the barrel saunas at Costco, and on the whole customers are very pleased with the quality as well as the customer service. These saunas can be very expensive though, especially some of the higher end ones, so that may be considered a drawback. 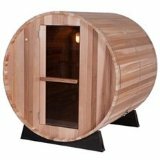 The smaller barrel saunas are around $2,500, so they are not cheap. Note that if you are on the larger side, or there will be several people using it, you might want to go with one of the bigger users. 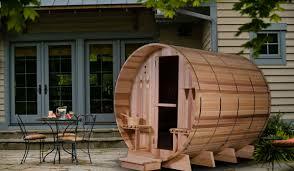 One of the complaints that did come up, although not often, is the fact that although some of the barrel saunas say they can accommodate up to 4 people, it is a little snug. Also, the Almost Heaven infrared line was not available last we checked, so if you are interested in an infrared sauna you might be better served with a Clearlight/Jacuzzi or Sunlighten, as you'll have more choices there. If you're in the market for a barrel sauna, or a traditional indoor/outdoor unit, Almost Heaven is a good option for you. There are plenty of models to choose from, and you can select the wood of your choice to match your decor. All of their saunas come with top-quality Harvia electric heaters, and you can upgrade to wood burning if you so desire. You get the stones, a light, bucket, ladle and thermometer with your purchase, and you can also add accessories and other options. 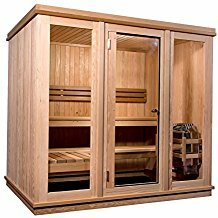 The bottom line is that Almost Heaven Saunas are well-constructed with the finest woods and most efficient heaters...you really can't go wrong with any of their offerings.